Home/Enneagram/The Enneagram: Sharpest Tool In The Personality Profiling Shed? When it comes to profiling people’s personalities, the enneagram is probably the sharpest tool in the shed. Correctly debriefed, it can provide the key for people to free up their behavioural choices and transform their lives. I FIRST encountered the enneagram many years ago. I was browsing in a bookstore while waiting for my son to finish his ice hockey practice. The name “enneagram” itself, and the disk with its colours and lines, looked and felt strangely familiar, yet I knew nothing about it. I had trained to deliver a number of personality profiles, and found them useful, so I flipped through the book. The nature of the descriptions led me to conclude that it might be another New Age horoscope-type tool that promised a lot but delivered little. I put it back. 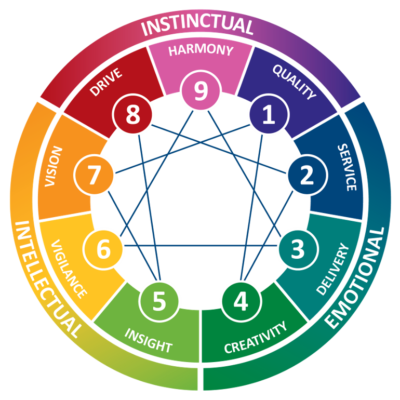 Later on, when I was struggling to make my business and relationship work, a colleague suggested I take an enneagram test. She said she sometimes used it with her clients and found it useful in pinpointing issues. She directed me to one of the more popular online tests. I completed the questionnaire and received the results. The report told me I was a Four and a Five at equal measure. I took the test again to see if one or the other would dominate and it came out the same. My colleague gave me a cursory explanation as to what this might mean, and I read the report. It was interesting and seemed mildly relevant, but had little impact. A few years later, a friend introduced me to an enneagram tool which she said was going to take the world by storm. At the very least, she said, these guys had the best research and technical team—and a global vision for their product. I completed their online questionnaire and received the results. This test produced a different result from the previous one: it had me as a One, and then the Four and Five combination followed. When I read the content, it made a lot more sense. Now, most personality profiles will tell you “what” you are. “You’re an introvert.” “You’re an overachiever.” For the most part, these are things you already know. They only confirm the fact and add a few frills in terms of understanding yourself. They don’t provide the link to the defence mechanism that psychology recognises as being core to every personality. For example, someone who learns to avoid failing in the eyes of their parents, goes on to develop a personality that is the model of success in the eyes of others. They become that overachiever. This defence mechanism lies deeply buried. Hence it triggers all the “bad” stuff that is associated with the surface personality. For example, the overachiever mentioned above will work herself to death—literally—rather than “fail”. She’ll probably drive everybody else to the edge as well. Therefore, it’s quite valuable to identify it. Contrary to most personality profiles, each enneagram style has, associated with it, something called an “area of avoidance”. These equate to the defence mechanism mentioned above. They are precisely defined in the enneagram model. They are the enneagram’s “secret sauce”. Let me illustrate this in more depth using my own personal dominant style: the style number One. The main attribute or contribution of this style, as you can see from the graphic above, is Quality. This is a person who is overtly all about morals, ethics, standards and quality. We all have an element of this, but for the One it sits on top of everything else. It becomes paramount, potentially even an obsession. They send you back to fix a spelling error and point out all the rules. They can be experienced as quite harsh and critical. Yes, for those who knew me years ago, I apologise! I’ve improved! Please know that, as with all Ones, I’ve been even harsher on myself than I am on others. I’ve worked on that too! The enneagram says that these people—the Ones, like me—have that focus of attention precisely because their “area of avoidance” is to not make mistakes, not get things wrong, not do bad things and, most of all, to not be criticised. Therefore, the word criticism becomes a very sharp descriptor of what they avoid—and what they do. The words “right” and “wrong” appear prominently in their language. In addition, the trainer pointed out another trait that is common to people of this style: reaction formation. This is a psychological term that points to someone who develops strong, usually moral, arguments against something they really want. For example, someone who is a very vocal trade unionist—an enemy of the rich—yet would secretly like to be rich themselves. Or someone who criticises people who drive an expensive sports car, yet secretly wants one for him or herself. When I heard all of this, it connected a thousand dots. A lot of my life suddenly made sense. I was very ethical and rule-driven, sometimes to my detriment. I could spot a spelling mistake from across the room. Plus, people have often experienced me as harsh and critical. I had lived a very Spartan lifestyle and denied myself many things that other people considered normal. My interest was piqued. The enneagram made a lot of sense, explained a lot of things, and seemed to be unusually accurate. I say this based not only on my own experience, but also on the scientific research that I started to find online and the business’s own statistical analysis which I gained access to. I paid a lot more attention. My own experience was backed up the client feedback I gained after I completed the training and began to debrief people. Many clients were equally surprised by the accuracy with which it described them. There’s another reason why I started to believe that the enneagram was so accurate. The enneagram company described above provided a booklet that set out the typical internal narratives for each of the nine styles—the things people of each style typically tell themselves. I read from this during client debriefs and often, at some point, the client would laugh out loud. It was clear that what I had read had touched a nerve. It described something that they had never told anybody, something that was so central to who they are that they themselves had barely noticed it, and certainly never questioned. I took this to be one more indication of the accuracy of the tool. Since then I have debriefed multiple hundreds of enneagram reports. Compared to my initial experience, I saw that the real value can only really be extracted through a skilled debrief. Over time, I developed some expertise in understanding the styles and the language and behaviours associated with each style. I developed my own way of doing the debrief. Part of this was to ask the person up front what they knew about themselves that might come out in a report like this. This is where it became interesting. I uncovered a few things that gave me even more respect for the enneagram as a coaching tool. Most often, people give very broad, generic answers to the question of what they know about themselves. “I’m an introvert/extravert.” “I like/don’t like people.” “I like to get things done.” “I don’t want to let people down.” And so on. For the most part, these responses could be true for any number of enneagram styles. I wanted to see if I could recognise a person’s style more quickly and clearly by the things they said, and so I ran a little test. I adapted my opening question. I made sure it was not a leading question, but remained neutral, and that I asked it in the same way every time. The results were astonishing. Almost without fail, my clients’ answers matched their dominant enneagram style as it appeared in the report that I had seen, and which they had not. In fact, the relevant phrase or key word would most often appear in the very first sentence they spoke in answer to my neutral question. Usually, it pointed very precisely to their area of avoidance. I did the test a few more times and I started to see that each style used a very small range of phrases, or set of key words. With some styles, it was one single word. That’s right, most people of certain enneagram styles tend to use one particular key word in the first sentence of their answer to my question! This is not to say one can entirely do away with a questionnaire and report. There are many more layers to the report. In addition, it’s often more useful to identify the second-, and sometimes even third-most dominant enneagram style. These strongly flavour the dominant style. They are slightly beneath the level of conscious awareness, and so they can play havoc with a person’s life. I will write more about this in a separate post. So, despite being an initial skeptic, I’ve become an enneagram advocate. I’ve seen the difference that the enneagram has made in my own life and in the lives of my clients. I’ve witnessed the depth of insight it offers when coaching. In my experience, it is the richest tool for describing a person and their behaviour. It has depth and breadth and, more importantly, it totally nails the avoidance that drives the person’s surface behaviour. 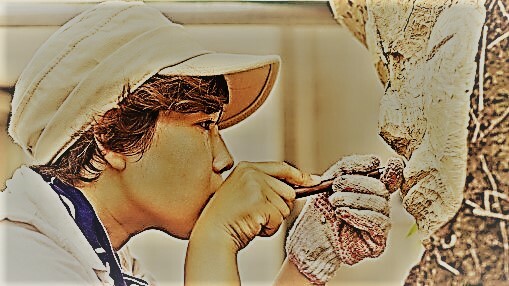 It enables people to get the essence of who they are. When correctly debriefed, it can provide the key to free a person’s behavioural choices and thereby transform their lives. I have great confidence that the answer to the question—Is the enneagram the sharpest tool in the personality profiling shed?—is yes. BOOK YOUR ENNEAGRAM REPORT & DEBRIEF!